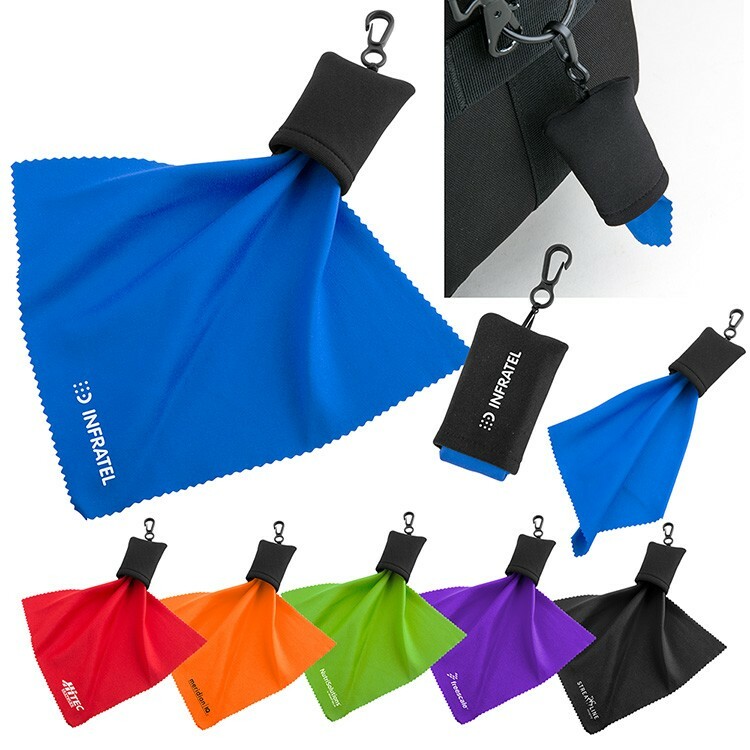 Single-sided soft microfiber tech cleaning cloth for keeping phones and screens smudge-free. Microfiber material with antimicrobial coating helps safely maintain and clean lenses, screens, optics, and more. Stores in stuff bag with attached clip. 9-1/2" L × 1-13/16" Dia.